People come and people go but when certain celebrities pass on it tends to sting just a bit. These are people that we invite into our homes and ask them to entertain us, be it for an hour, a month or years. So it's only natural that people tend to feel sadness when we lose one of those entertainers. One of those recently lost entertainers was the great Bill Paxton. A man who starred in countless genre films and, up until his death, was having a monstrous run on television with Training Day. Now, what does one have to do with the other? Well Bill, along with Thora Birch, starred in the music video for the "Eat You Alive" single. Bill plays the father of Thora's character and leads a manhunt through the woods to find his daughter who was abducted by Fred Durst. The kicker being that Thora falls for Durst and helps him escape her father and his mob. The video itself plays as a cinematic experience thanks largely to Durst's direction. The cinematography is top notch, but the overall narrative flows in such a manor that you are fully aware of what is happening despite the fact that there is only one sentence spoken throughout the video. This feat sits largely on the shoulders of Paxton and Birch. The two are able to convey a complete story just by emoting over four minutes. Eat You Alive is one of the rare videos that could have been turned into a feature and in some regards portions have been. Paxton draws heavily on his character of Dad Meiks from Frailty in the music video and the theme fits perfectly with the film All The Boys Love Mandy Lane. Music videos use to be an artform that mashed music with a movie-like experience and, as proof below, attracted some high caliber talent. 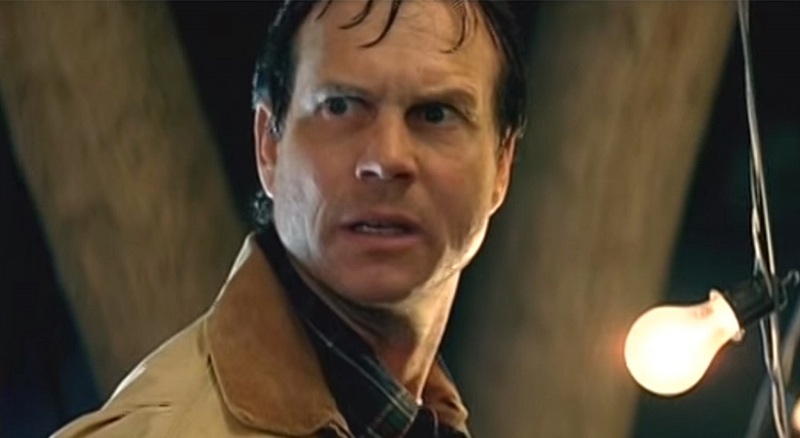 The talent of Bill Paxton and Thora Birch coupled with this song makes it the greatest music video of all time.